Conception notes Two spaces, two languages, two focal points, getting so close as synthetical and natural, but never touching. The first space is black & white, minimal and symbolic. It talks about the beauty of color inside the sound and complicated structures but it has not colors in itself. It is a sort of counterpoint, a reference, a cold therory demonstration, a base of reflexions. The second space could show colours of structures and physically complicated sounds. The rules that generate them might be very complex, and though unnecessary to be explain. The human perception comes first, on it’s own, at this level. The first space is more unpretentious and selfgenerateed, the second requires more finely tuned work to take form. But in the end the two spaces are not in conflict. None has more value than the other. They happen separately and simultaniously. The sound reflects this relation, a contrasted proposition between automatic processiong, fixed layer, digital and physical. Structure Live audio in the real time. Live treatments of various objects & contact mics. Max/msp code in algorithmical sounds. 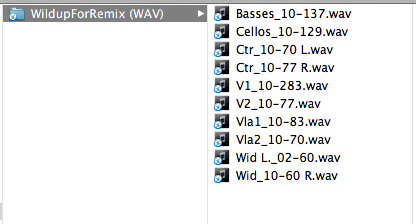 When considering the 13th Disquiet Junto project, it’s helpful to remember that the subject material is itself a remix. The Disquiet Junto is a Soundcloud.com-based group in which musicians respond each week to a proposed compositional project. The 13th such project involves reworking a recording of the first movement of the Chamber Symphony, Op. 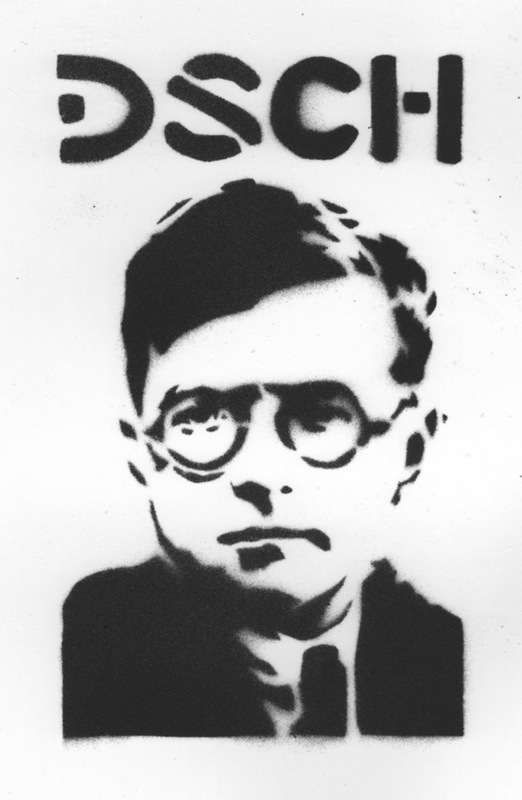 110a, by Dimitri Shostakovich. The source audio was recorded live by the ensemble wild Up. The project was announced on Thursday, March 29, and is due by 11:59pm on Monday, April 2. I usually wait until the end of a Junto project to comment on it, but this one is special, so I want to get some thinking out while it is still in progress. It is is worth thinking of the Chamber Symphony as a remix unto itself, because the symphony is an arrangement by another man, Rudolph Barshai. With Shostakovich’s blessing, Barshai took the contours of Shostakovich’s String Quartet No. 8 and expanded them into something orchestral. Likeiwse, with the full permission of the Los Angeles chamber ensemble wild Up, the Junto participants are extrapolating from the wild Up recording of the Barshai’s symphonic version of Shostakovich’s quartet. If that sounds meta, then I am accomplishing at least part of my goal. To hear the performance 10 times from different vantages is to get a Rashomon version of the piece. In part, it is simply an opportunity to hear it akin to how the performers hear it: if you listen to the woodwinds, then you’re hearing it sort of how a member of the woodwind portion of the ensemble heard it while it was being performed. But more importantly, to listen to it is to hear different parts of it come to the fore. Because it was recorded live, there is no clear “isolation” between parts. In each of the tracks you hear the entire work, just with different sections given different relative prominence. 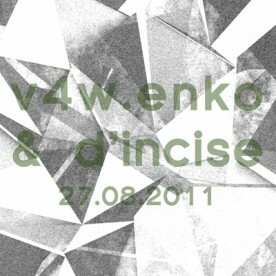 The remixes are unfolding at this very moment at soundcloud.com/groups/disquiet-junto. More on wild Up at wildup.la and wildup.tumblr.com. The Assignment: Remix a Shostakovich recording by the ensemble wild Up. This assignment was made in the afternoon, California time, on Thursday, March 29, with 11:59pm on the following Monday, April 2, as the deadline. More on the project here: “Classical Rashomon. Deadline: Monday, April 2, at 11:59pm wherever you are. Plan: For the 13th Disquiet Junto project, we’ve been given something special. This is a shared-sample project. There is a tremendous classical chamber-music ensemble in Los Angeles. Its name is wild Up, and it has provided to us the first movement of its recording of the Chamber Symphony, Op. 110a, by Dimitri Shostakovich. Better yet, wild Up has provided to us the individual stems from a live multi-track recording of the symphony. There are 10 tracks in all, ranging from the bass to the woodwinds, and everything in between. There is no isolation between tracks. What there is is an emphasis on different aspects of the ensemble — and, thus, of the original composition. You are invited to make something new from this source material. Please use only the source material — as few or as many of those 10 source tracks as you desire. Length: Please keep your piece to between two and seven minutes in length. Title/Tag: When adding your track to the Disquiet Junto group on Soundcloud.com, please include the term “disquiet0013-wildup”in the title of your track, and as a tag for your track. The Assignment: Record an everyday mechanical rhythm, and make something of it. The 11th weekly assignment had been on my mind since early in the development of this series: to take an existing everyday sound and to make something of it. We’d explored that idea previously from various different approaches. The very first project involved an especially mundane source audio: ice cubes in a glass. The fifth, a personal favorite, required participants to add sounds to an unedited recorded document of real life. Many other projects employed source audio from the real world. This time, though, the source audio was intended to serve a very specific role: a rhythmic undergirding to the track. In one way, this was an unusual proposal, because by requiring a rhythm, it was perhaps the first project that suggested aesthetic context. Previous projects had left it up entirely to the participant whether or not there would be an inherent rhythm to their track. As I said at the time of its unfolding, if any Disquiet Junto project could be collected into a standalone album, I’d say this is the one. The assignment was made late in the day on Thursday, March 15, with 11:59pm on the following Monday, March 19, as the deadline. View a search return for all the entries: disquiet0011-motoring. As of this writing, there are 42 tracks associated with the tag. The projects ranged widely in their source audio, including a door, car fan control, clothes dryer, potato slicer, multiple hard drives, and microwave beep, among many others. One highlight was a track built around a bicycle wheel, which included a video, shown up top. The track, posted at soundcloud.com/emremeydan, is by M. Emre Meydan, who has been providing the Turkish translations to the weekly projects.